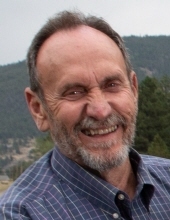 On Saturday, April 6, 2019, Glenn Walter Biedermann, loving husband and father of two children, passed away at the age of 73. Glenn was born on April 22, 1945 in Dallas, Texas to Walter and Lilly Gully Biedermann and grew up in Waco, Texas. He received his bachelor’s degree in Math and Physics from Baylor University in Waco in 1968, and he began his career as a geophysicist with Amoco in Fort Worth, Texas that same year, eventually retiring from Conoco as the General Manager of both International and Domestic Exploration. On August 31, 1968, he married Betty Jo Ardis. They raised a daughter, Tracie, and a son, Grant. He worked in the petroleum industry for 27 years, living in many locations throughout his career including Fort Worth, Texas; New Orleans, Louisiana; Ponca City, Oklahoma; London, England; Lafayette, Louisiana and Houston, Texas before retiring at the age of 50 to his beloved Ponca City in 1995. He was well respected in his field, earning numerous awards and accolades during his career. More than anything, Glenn was defined by his love of his family and his friends, and the passion with which he lived and enjoyed his life. He was a proud father, grandfather, and a devoted and loving husband, generous with both his affection and his time. He loved the peace and beauty of the mountains in Colorado, and cherished the times spent there with his family. He was known for his quick wit, his feisty humor, and his deep love for people. He loved freely and was equally loved in return. He was a man of great faith who was involved in the life of his church, Pioneer Bible Church, displaying his servants’ heart in numerous ways by serving both officially and unofficially as a deacon for many years. He was an extraordinarily capable and talented man, who never seemed to meet a problem he couldn’t solve or skill he couldn’t master. Glenn was preceded in death by his father, Walter, and his mother, Lilly. He is survived by his cherished wife of 50 years, Betty, his daughter Tracie, her husband Jeffrey and their daughter, Shannon and son, Camron of Houston, Texas; his son Grant, his wife Katie and their daughters Elaine and Fiona of Albuquerque, New Mexico; his brothers David and Allen, his sisters Patricia and Karen, a beloved extended family and many dear friends. A memorial ceremony will be held on Thursday, April 11th, 2019 at Providence Baptist Church 1301 E. Bradley at 2 o’clock p.m. Condolences may be sent to Trout Funeral Home, 505 W. Grand Avenue, Ponca City, Oklahoma. In lieu of flowers, memorial contributions may be made to Missions at Pioneer Bible Church, 301 N. 3rd St., Ponca City, Oklahoma 74601. To send flowers or a remembrance gift to the family of Glenn Biedermann, please visit our Tribute Store. "Email Address" would like to share the life celebration of Glenn Biedermann. Click on the "link" to go to share a favorite memory or leave a condolence message for the family.